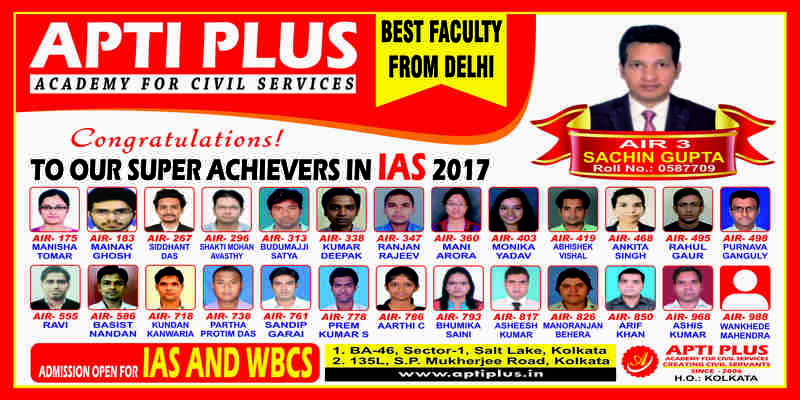 Aptiplus Academy For Civil Services, KolkataApti Plus Academy For Civil Services established its first coaching center in Salt Lake in the year 2007-08 and became the No. 1 coaching institute in eastern India due to our holistic approach to teaching; completely student-oriented. To reach out to students from other area of Kolkata, we established another coaching center in Kalighat area of Kolkata in 2014. Apti Plus Kolkata received 4.3 stars out of 5 based on 72 reviews on Google+.